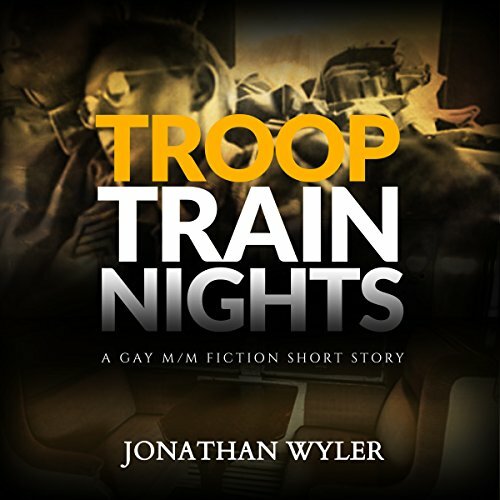 Showing results by author "Jonathan Wyler"
Set in World War II in 1943, Troop Train Nights is a 4,050-word short story about two young G.I.s on a train, on their way to war. One is a closeted gay former swimmer and gymnast, teed off because the army has seen fit to make him a clerk-typist. The other is a womanizing, muscular, overconfident Italian-American paratrooper from Detroit. They are reluctantly paired off on a train trip to a port of call where they will ship overseas. This is the tale of their experiences and an unlikely connection.